Field Trip: Clark & Madison in Los Angeles, CA. I was fortunate enough to meet Dina and Frosti of Clark & Madison while at Unique Camp in Big Bear, CA. I don’t talk about my experience at Camp as much as I should but it was a fantastic weekend which introduced me to a host of new brands much like Clark & Madison. 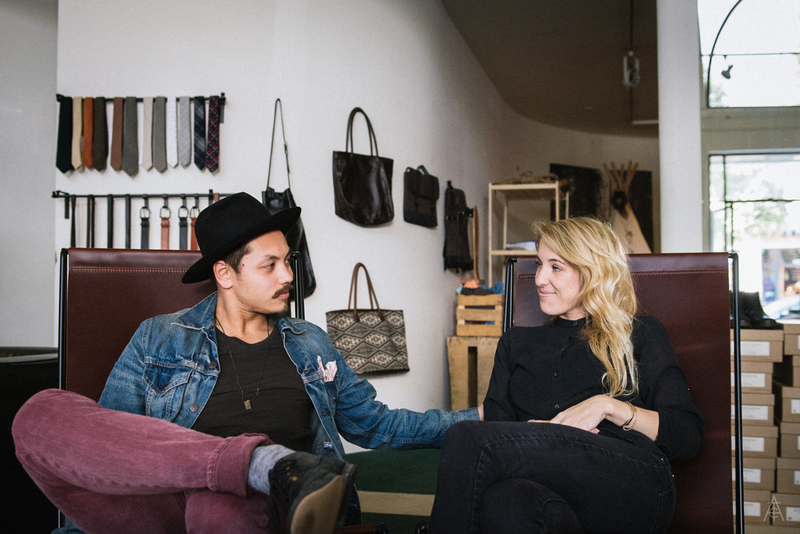 They’re kind of a menswear shop, kind of a women’s shop, kind of a bag maker, kind of a general store, and entirely a great couple with whom to hang out and drink some whiskey on a Saturday afternoon. I had been promising to stop by their Westwood, CA.-based pop-up location for months before actually getting around to it and am glad I finally did. They recently wrapped up their tenure in Westwood and are currently looking for a new location for later this year. I’ve met many couple partners-in-crime in my time running The American Classic. All of them have a special bond, a kind of airy connectedness that transcends the fact that they’re running a for-profit business and presents itself more as an incredible duo who genuinely has fun doing their thing together. This clearly makes it’s way into the shop and the brand itself. 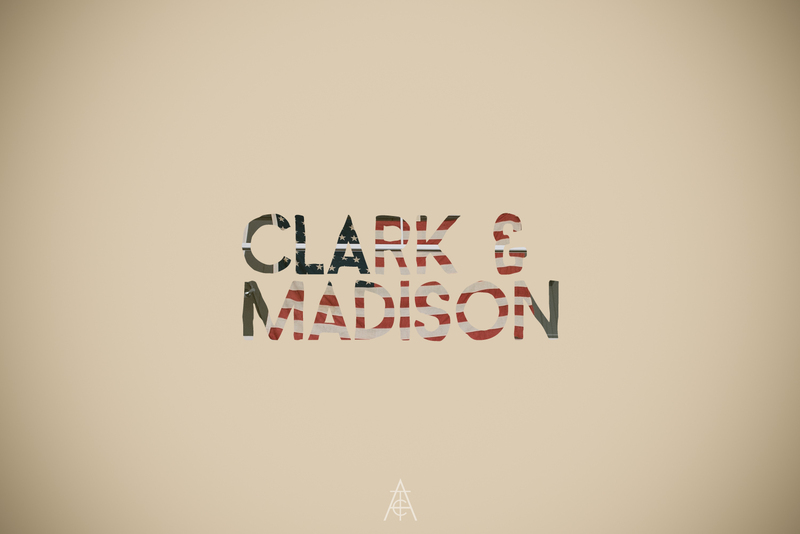 Clark & Madison is full of adventure; new places, new faces, and new experiences while still making a gracious nod to the important things in life: fine wares, excellent booze, and the best of times. I like Dina and Frosti a lot. I don’t write about people and brands I don’t like, hence why we take the time to write each article from scratch and generate all original content but it’s always refreshing to run across a new brand and some new friends doing things their own way. I really like the way they curate their shop, featuring a pleasant mix of eye catching items to get you in the door and beautifully crafted unique pieces to keep you around. 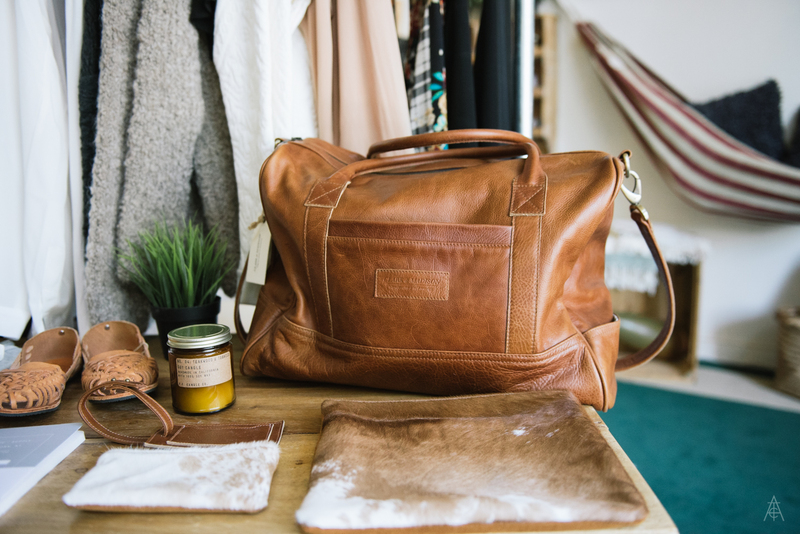 Their bag construction is not only high quality but beautiful and unique in the leathers and fabrics they choose to line the bags with. Each piece is clearly hand crafted, not in the chunky DIY type of way, but more so in the loving care and attention to detail visibly devoted to each piece. Click here to read the full article. 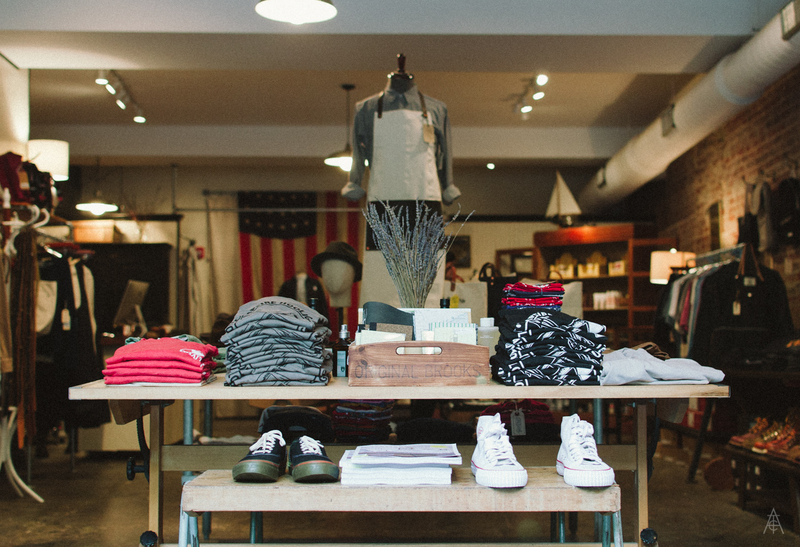 Field Trip: Old North Clothing in Asheville, NC. 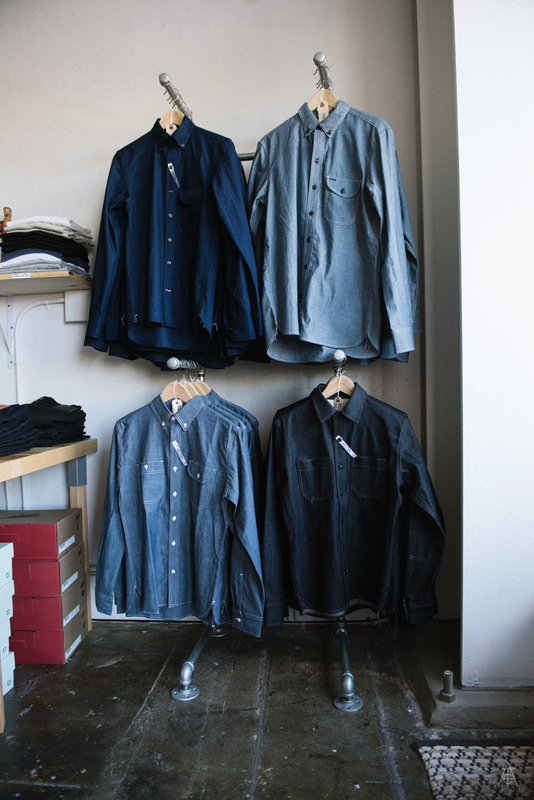 I shot this photo set at Old North Clothing in Asheville back in the early summer of 2014 and somehow let these sit for many long months. I only rediscovered these photos after going through my semi-annual photo archiving and realized that for whatever reason this post never went live. That being said, I’m happy to launch it now. 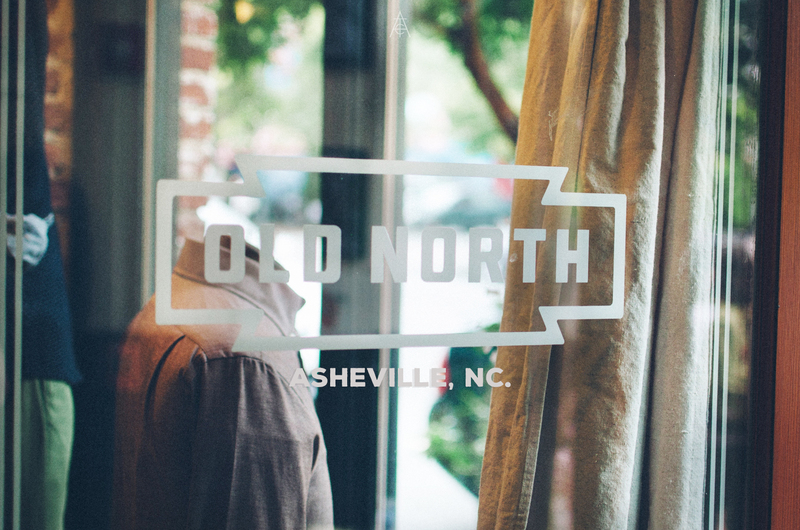 The photos may not reflect the current offering at Old North but should give you an idea of how the place feels, what kind of things they typically carry, and why you should absolutely visit. Asheville has been a part of my family for a number of decades; we’ve had family living in Asheville or nearby for the past 60 years with my grandparents moving there after my great-grandparents in the ’80s. They’ve since passed on but I spent most of my summers in Asheville as a kid, much like my father did when he was young visiting his own grandparents. The major difference between his experience and my own was growing up in a big city and visiting Asheville was, for me, awful. I hated going there, staying in the mountains and rarely venturing into town due to my grandmother’s paranoia of anything urban or progressive. It seemed so backwards from what I was used to and I missed everything about the city. Click here to read the full article. Happy Holidays to you from The American Classic. Around this time of year we typically spend a lot of time in Missouri, Colorado, and Pennsylvania; this year we’re keeping it St. Louis exclusive while returning home to Los Angeles just in time for the new year. Given my location, I have an inordinate amount of time to work on our annual report so hopefully this one will be as insightful for you all as it is for me. This year has been an interesting one for us. We’ve been absolutely slammed working on some very cool projects with very cool creative companies around the country leaving us the least amount of spare time to work on The American Classic since we started measuring our analytics in 2010. We’ve steadily reduced our features on this site by an average of 14 articles year-after-year for the past four years; this is somewhat intentional and somewhat just a product of focusing our collective attention on a lot of projects all at once. In 2012, I refocused all of our effort on “quality, not quantity” for 2013 and that year we trimmed the fat by 53%, losing unnecessary and somewhat forced article series designed to be low effort grabs at gaining followers. In 2013 alone, we had more visitors, views, and new followers than all of the previous years combined. Less content, better content, more engagement. This was incredible. Everything we hoped to gain out of cutting our publication worked perfectly and we were happier, being able to generate 100% of our own creative. We stopped using content from other providers, focusing solely on creating our own stuff for use on our own site. This decision alone cost us at least 10 articles that year, the remainder of missing articles made up entirely by ones we consciously chose to cut. This year The American Classic featured 7 individual brands with an unprecedented average of 3 items featured per brand. We featured 6 different shops in 4 different states and visited at lest two dozen more than what you see here. Looking in to 2015, we already have 6 articles written in-full, just needing the photographic content to piece the whole thing together. As I write this, there are still one or two articles set to release in 2014 before the year is up and we’re looking forward to seeing those close out our year. Our Instagram account had insane growth this year, thanks in large part to the kind dudes over at Snake Oil Provisions. The two photos I shot of them this year alone make up our most popular photos on Instagram since we started our account. We more than doubled our following this year, which comes on the tail of 500% growth in 2013, which I’m very proud of. While this site is our bread and butter, I’m happy to see such exponential growth in another medium for us. 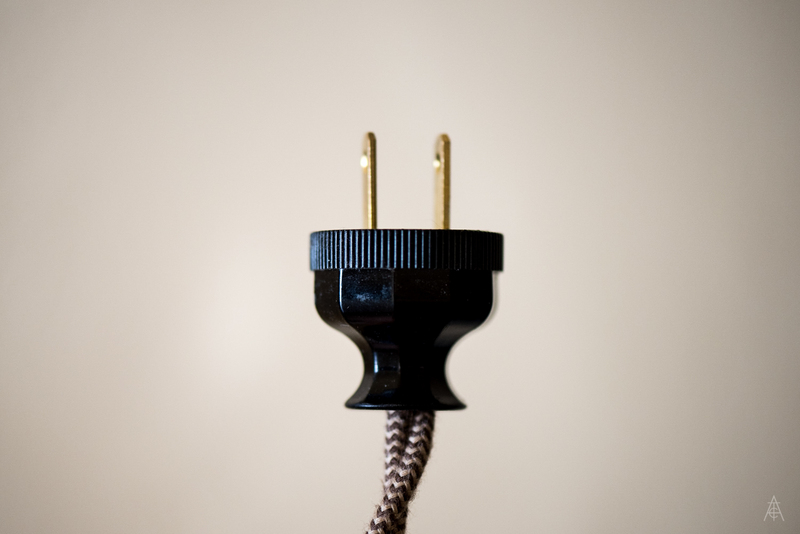 2014 was a year that took a little more re-tooling and re-focusing. I upgraded all of my camera equipment which yielded some amazing photos but also left me shooting on outside projects so much of the time. This is great for my professional life and terrible for The American Classic. The mantra for 2013 was “trim the fat; quality over quantity”. The mantra for 2014 was “maintain” which we certainly could have done a better job of. Our mantra for 2015 is “growth while maintaining quality” and we’re excited to get started on some new programming in the early days of 2015. Be sure to click through all of the images below to see the articles or images on Instagram. Without further ado, here’s our top lists for 2014. Snake Oil Provisions in an alley. Long Beach, CA. Snake Oil Provisions in front of their shop. Long Beach, CA. Ray & Charles Eames Case Study House. Pacific Palisades, CA. Red Wing Iron Rangers at Lambert International Airport. St. Louis, MO. Red Wing Iron Rangers in a field. Montgomery, AL. We’ve recently come into possession of two very interesting colognes and gave them a spin for a few weeks to keep your knowledge and nose interested and informed. With the Holidays coming up, there’s no better way to treat yourself or someone who’s company you generally enjoy to some fine, unique scents. The first is a solid cologne, dubbed a “Trail Resin Cologne”, from Juniper Ridge in their Big Sur scent. 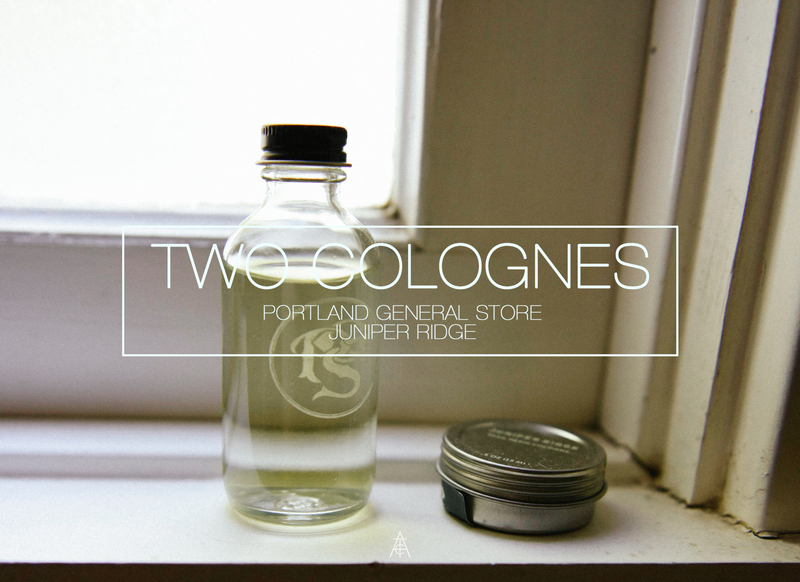 The second is Portland General Store’s Farmer’s Natural Cologne. I’ve been a fan of both companies for a while so this is a fun review for me. I was aware of Juniper Ridge for quite a while before I met founder Hall Newbegin at Unique USA’s Camp in Big Bear, CA. earlier this year. Now I’m a full blown nerd for his stuff and was very excited to get some in the mail. We burn Juniper’s campfire incense around the house every now and again and I frequently use the Cascade Trail Soap in the shower when I want to smell like a God from the woods. I’ve been wearing Portland General Store’s Tobacco cologne for 2+ years now, though have recently run out so was excited to get some of their Farmer’s scent for testing. They claim that this was developed specifically for farmers to wear when working with cows as they find this scent particularly pleasing/relaxing. I don’t have a cow to put this through the paces with but I tested it for relaxation with our resident dog as well as my significant other. PGS has gone through frequent branding adjustments over the years so it’s tough sometimes to tell their products apart without specifically seeing the indicator on the bottom of the bottle; that being said their quality has not waned one bit and I’m very glad to present them here as well. Click here to read the full review. 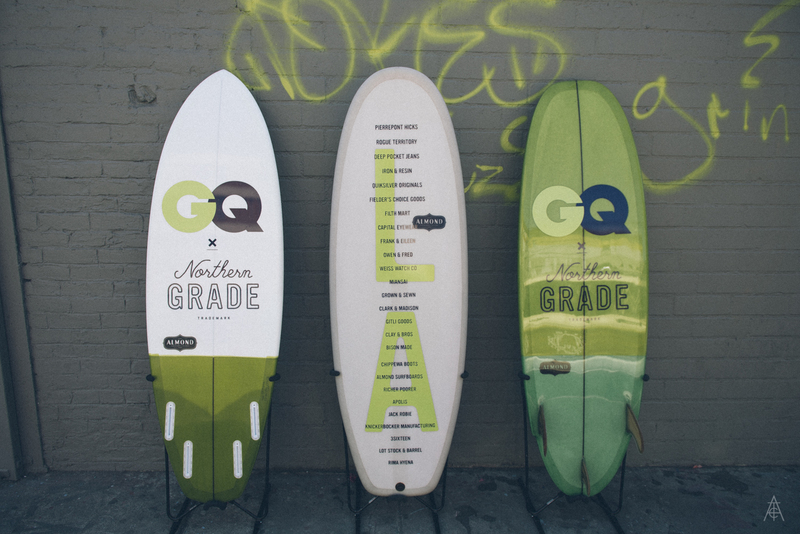 We visited the Northern Grade pop up as it made it’s way through Los Angeles a few weeks ago, and while we didn’t do any interviews or real reporting, it was great to shoot some new companies, make some new friends, and catch up with old ones as well. It was super neat to see Clark & Madison’s setup; they’re run by a couple who I met while at Unique CAMP earlier this year. It was also great to be able to be hands on with Miansai’s new watch collection, Bison Made’s lineup, and Almond Surfboard’s new fall wares. Finally, as always it was great to see new-Dad Karl from Rogue Territory. 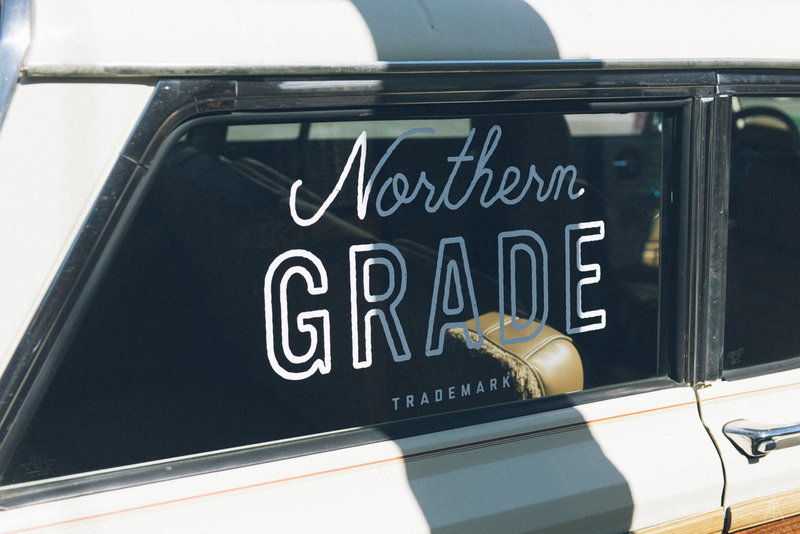 Enjoy the photos, big thanks to the folks at Northern Grade for putting on the show, and looking forward to seeing it next year. Click here to view the full photo set. 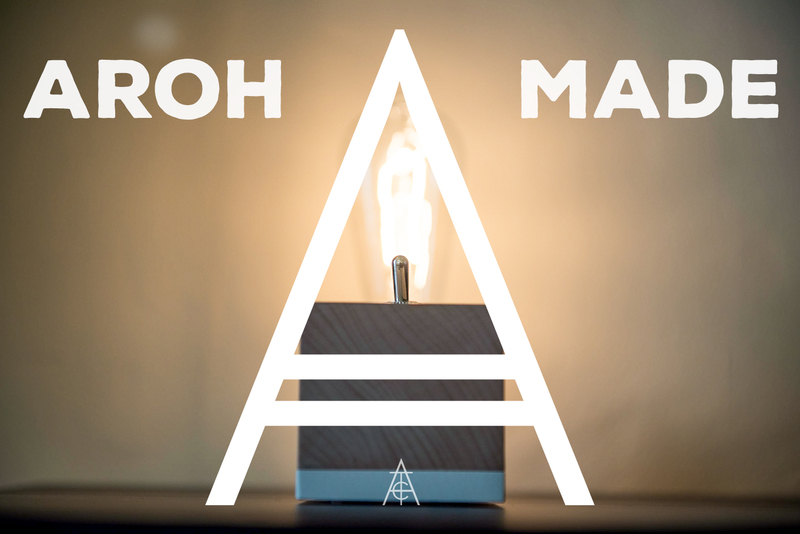 I received an email from Ben Aroh of Aroh Made a few weeks ago introducing me to his company and telling me a bit about how he got started. He’s a young dude, 24 and fresh out of college, with a good eye for branding and photography as well as product design. Ben’s done some great stuff with his newly launched line and while some pieces are certainly more original than others, there’s definitely something for everyone. He has zero formal training in product design or anything related to this, though went to school for marketing so his chops aren’t unearned. His father is a professional wood worker and showed Ben the ropes; they work together in his father’s studio out of which Aroh is run. 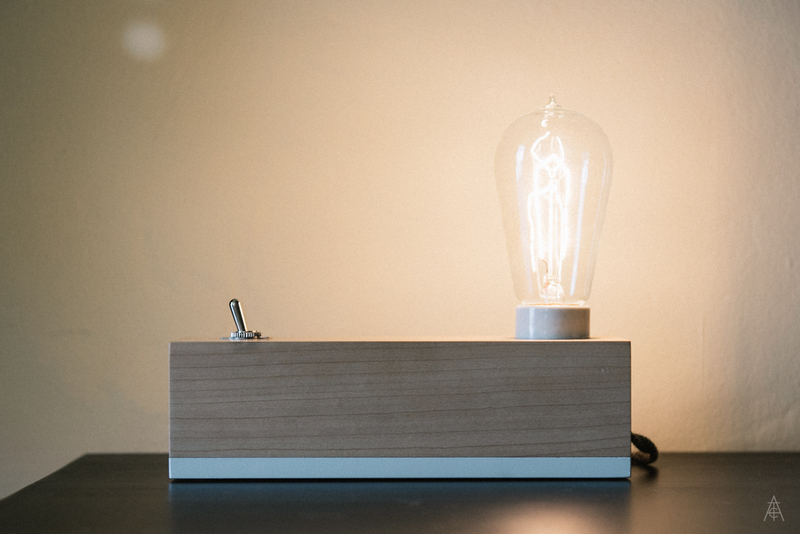 Ben sent me his Minimalist Desk Lamp for review and I’ve been thoroughly pleased. I reached out to the fellas over at Snake Oil Provisions in January about doing a writeup. 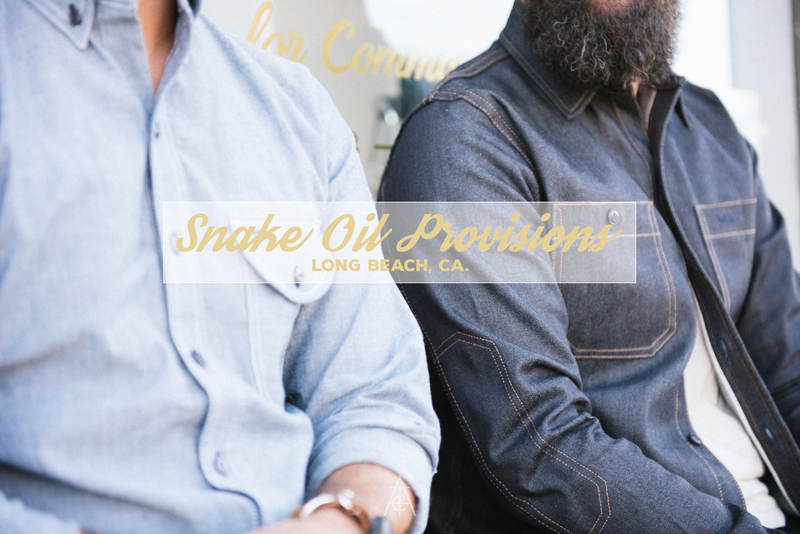 I had seen their online shop, their insanely rabid Instagram following, and knew a brick and mortar store was in the works so we met in Long Beach near their current HQ for coffee and chatted all things menswear. Josh and Ben are some of the nicest guys I’ve ever met and I mean that sincerely. 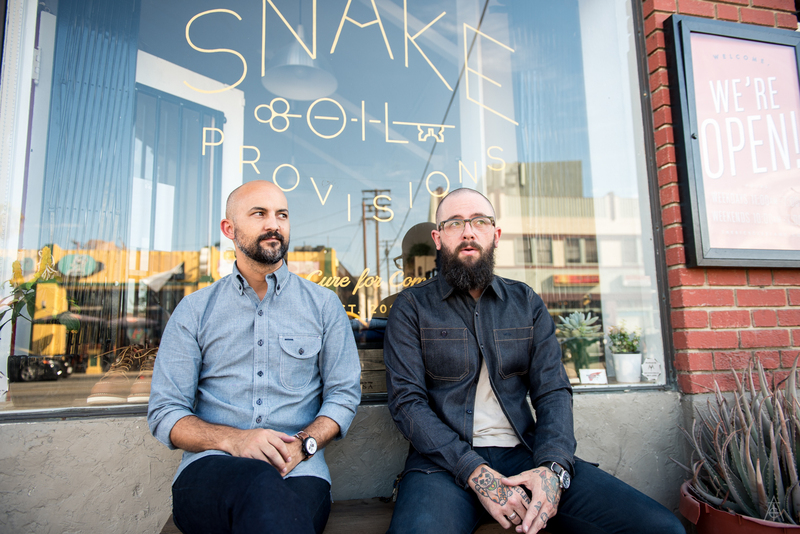 We meet a lot of shop owners, brand owners, and dudes that are just generally stoked on menswear but rarely do I meet a pair of guys so easy to talk to and so genuinely friendly. Josh comes from an ad industry background and Ben has spent most of his life in retail, most recently at Unionmade, so right off the bat we had quite a bit in common. Their shop wasn’t ready for shooting so we waited for a few months until they were open and ready to go for me to come back down and shoot their shop. 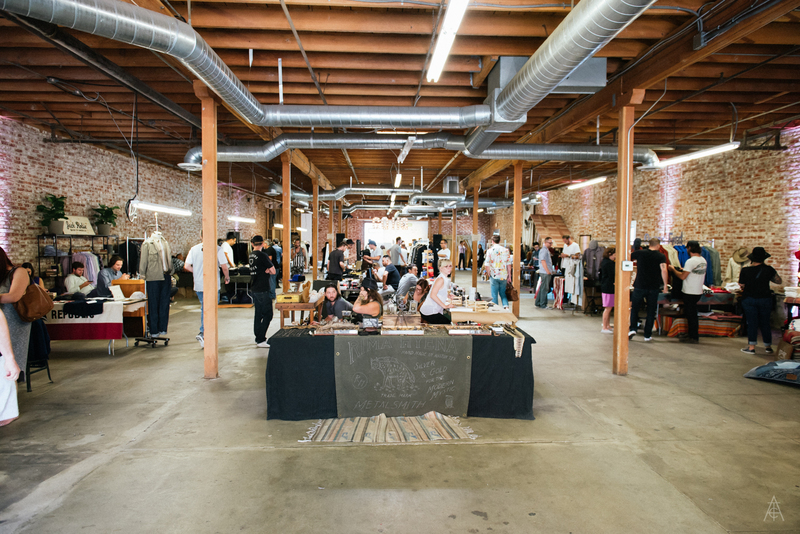 SOP is in a quiet stretch of Long Beach near Syndicate Barber Shop and a few other small retail stores which gives them a little pocket of semi-urban walkability with plenty of local flavor. Their web shop boasts quite a large number of products and their storefront, though small, certainly shows them off very well. They were still putting the finishing touches on the shop itself when I visited but it still had a homey, warm feel with plenty of great decor. Something about the high white ceilings and flat woven rugs makes you want to hang out in the space and chat menswear all day. Their brand list right now includes Rogue Territory, Apolis, Red Wing, Filson, Shinola, Teranishi Brand, White’s Boots, Ruell & Ray, AnonymousIsm, Schott, and many more. I picked up one of Rogue Territory’s new indigo dyed jumpers while I was there and have thus far been super thrilled. They consider as Rogue Territory to be one of their flagship brands so expect to see a good offering if you intend to visit. I sent over a few questions for the dudes; here are their responses. Click here to view the full article and interview.